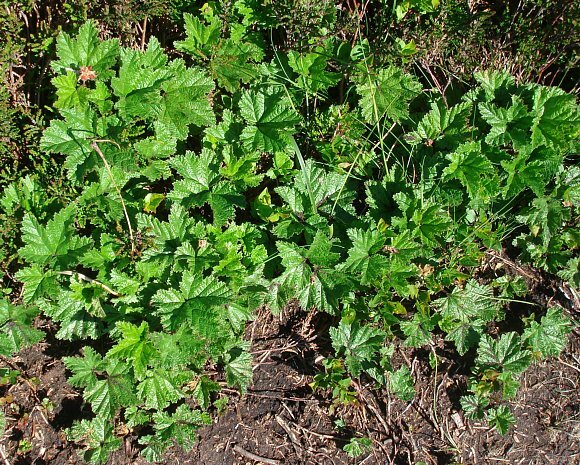 Carpets the moist ground with largish mallow-like leaves. Very shy flowerer. 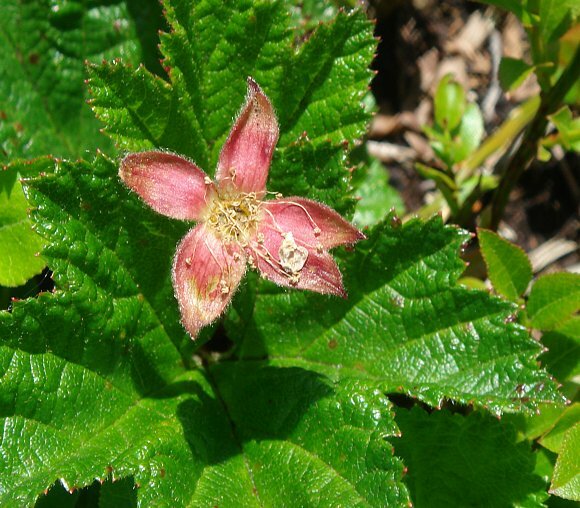 It is a dioecious plant, with separate plants bearing male or female flowers. With stamens this is a male plant. Being a member of the Rose Family, has five white petals. Sepals pointed. A male plant with numerous yellow anthers. A female plant with numerous stigmas. 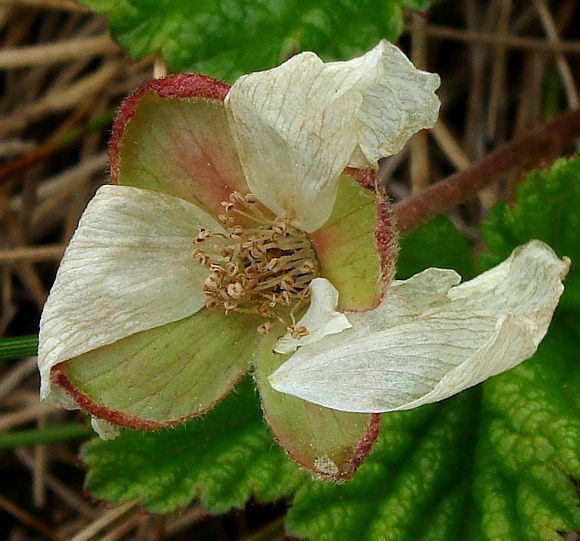 Most flowers are not as perfect as this one with 5 un-bespoiled petals. 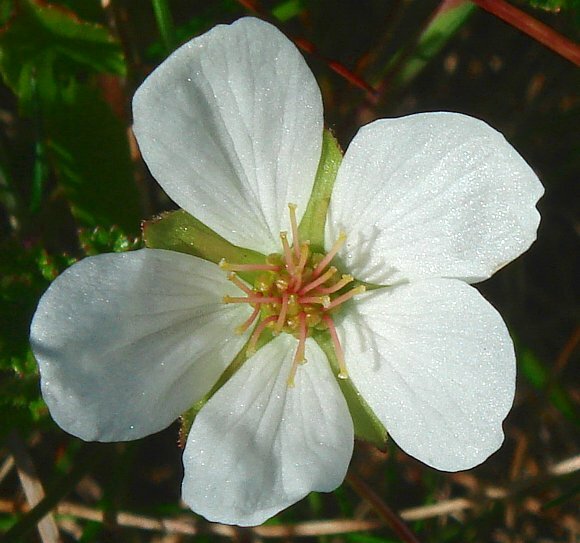 Some specimens have only four petals. All petals have dropped off leaving just the now red sepals. 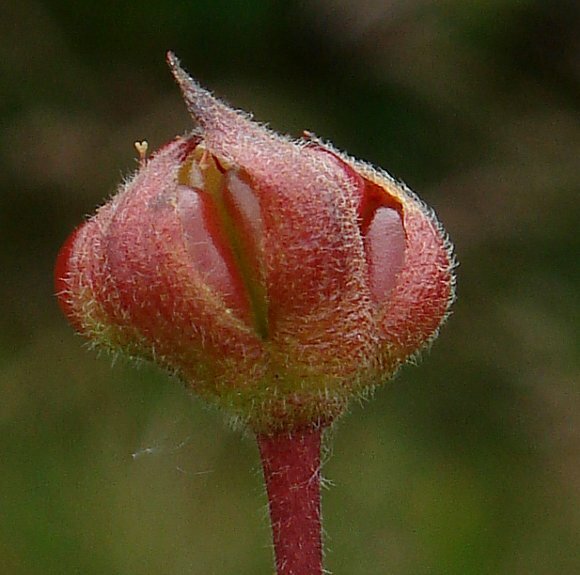 The as-yet un-fused red berries within the curled-up sepals. 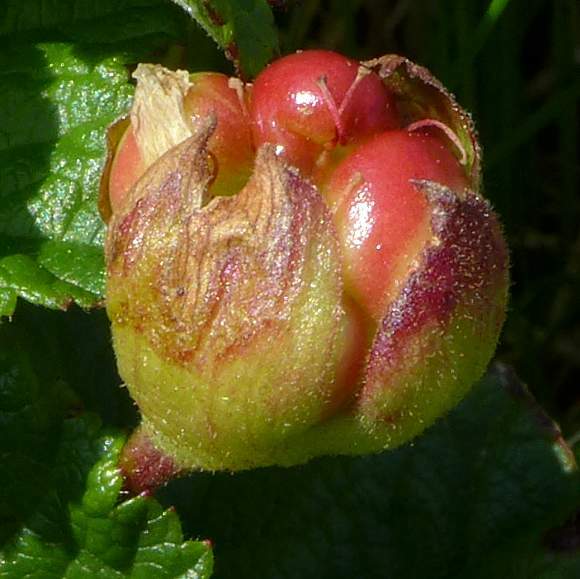 Berry bursting out from within its sepals, several remnant stigmas on display, presumably one for each ovary. Berries fused, unusually turning from red (unripe) to orangish (ripe). 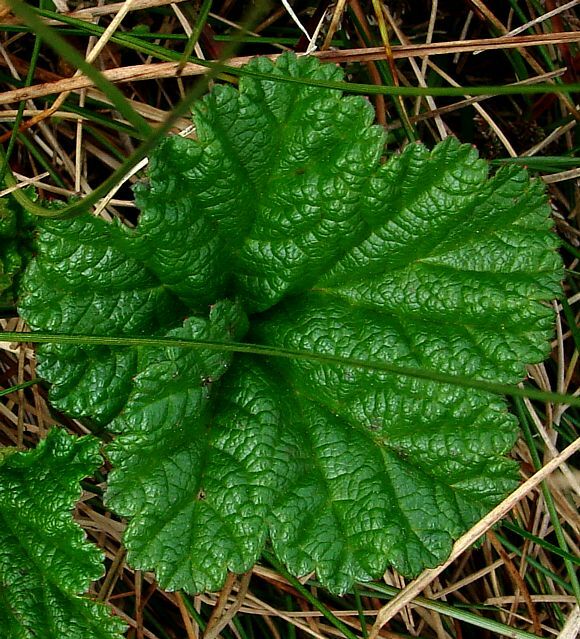 The shiny, toothed leaves have five rounded lobes and are very crinkled. 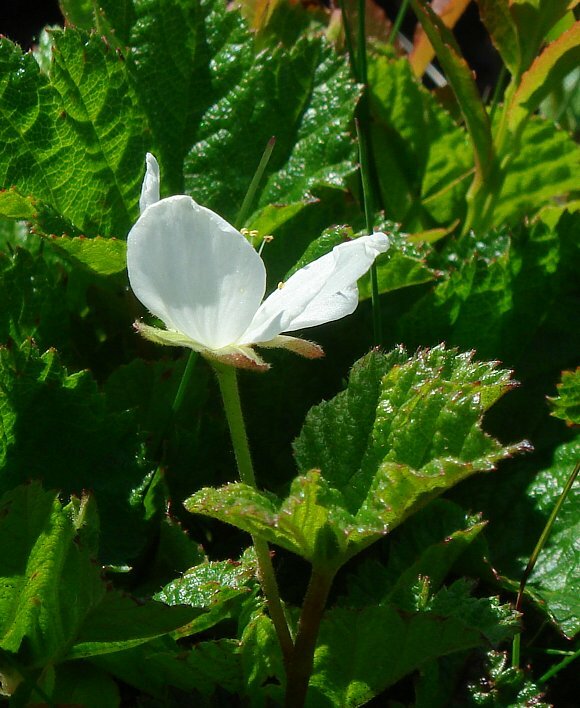 Look similar to Mallow leaves. 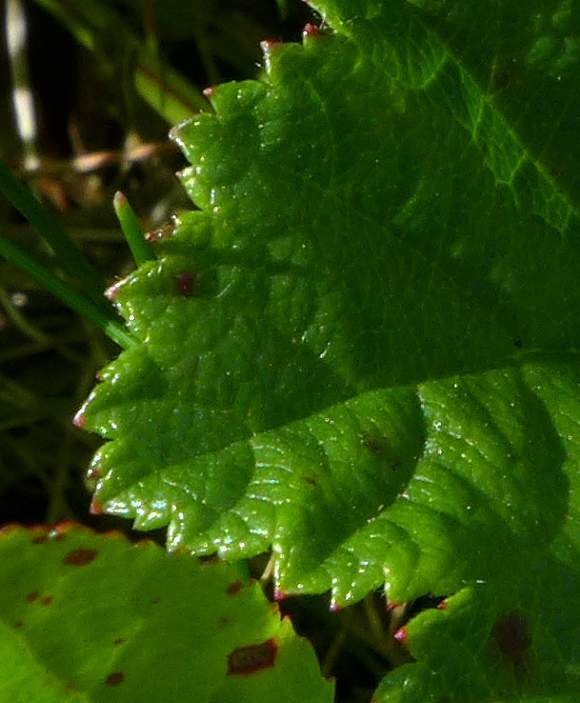 The teeth of the leaves are red-tipped with Hydathodes, which eliminate excess water. 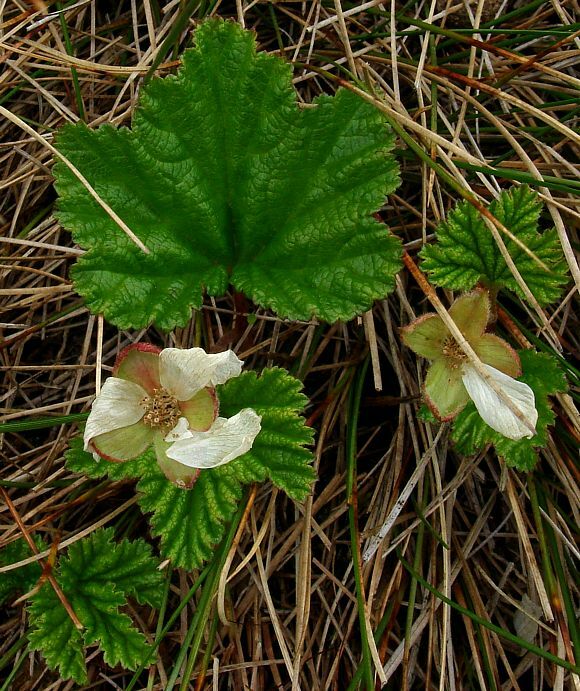 Cloudberry is closely related to the Bramble s, but unlike those, possesses no thorns. It spreads from creeping rootstock very low along the ground, never reaching more than 8 inches in height. 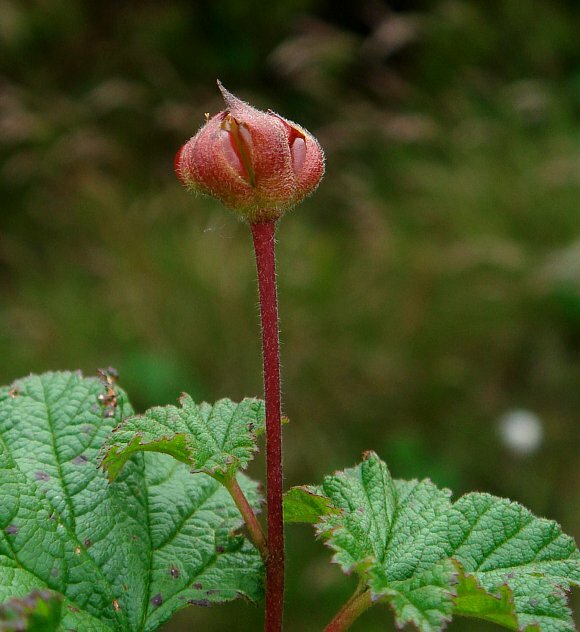 It inhabits damp or wettish acid moorland and peaty bogs. 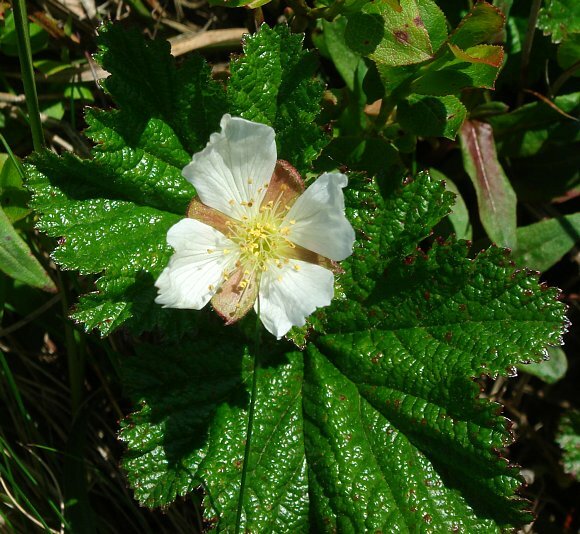 The leaves are palmate, crinkly and usually solitary, and not in threes like most other brambles. 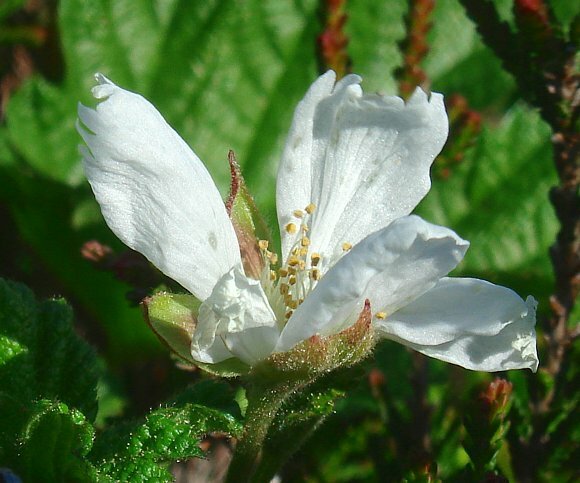 Cloudberry is a very shy flowerer. 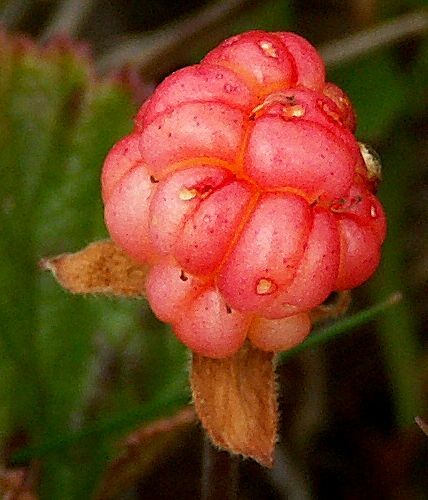 The berries change from red to pale orange, and are edible. They have an unusual fused appearance rather reminiscent of a mass of conjoined soap bubbles. 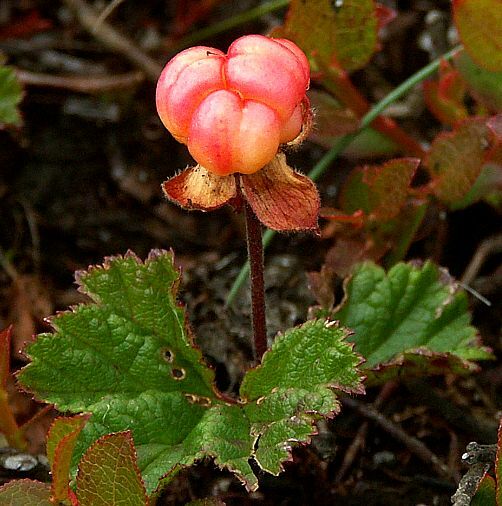 Cloudberry is a dioecious plant with male and female flowers on separate plants.